I was doing the Zorua Dexnav chaining, and let me tell you Zorua runs away like there’s no tomorrow. SOmetimes he would just Break my chain of 12..-_- I’m like, Zorua please, you’re cute and all, but why you run away?!?! Anyways, it was funny because, just as I was doing one more last chain, I looked away sighing and thinking “I should just breed this..or give up ugh..” and then…………… I looked over and saw the blue hair! And then the sparkle sound flooded my ears…THERE WAS THE CUTIE POO. Ahh I’m so happy, I only encountered him 76 times, and I broke so many chains, I thought I wouldn’t see it, but I did! 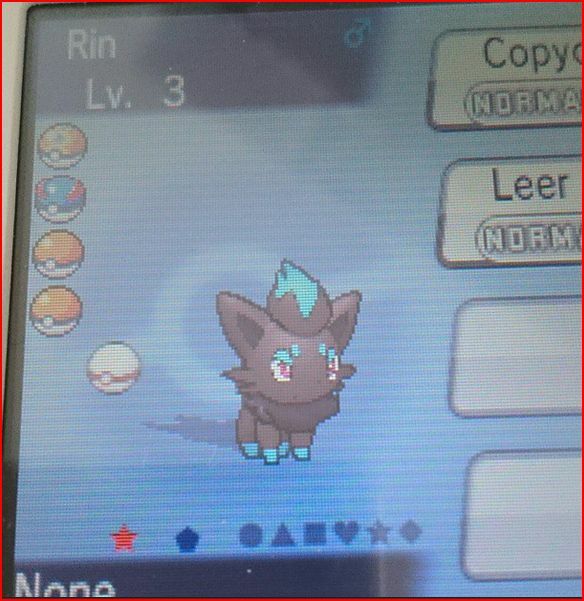 When I wasn’t expecting too, so that’s the best part 😉 I think now I’m going to make a Shiny team, so right now I have Zorua, Eevee (gonna get dat male tho), Ralts and planning on getting Axew (darn thing keeps running away too!) and possibly Electrike..maybe 🙂 And then I have that free Shiny Metagross from Steven, so yay! A team of Shinies!